Bay windows and Combinations windows are available in different sizes and designs for your homes and offices. 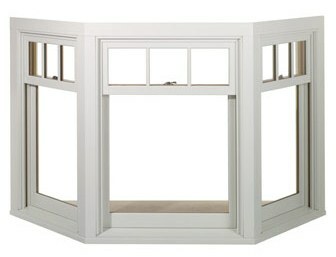 We can easily install bay window in your large rooms. Windor bay windows used to increase the flow of natural lights into your building room as well as provide great views of the outside that would be unavailable with an ordinary window. Windows are available in different sizes and designs. You can choose bay window and combination windows by different Style and Glasses also. A combination of three or more windows that projects outward from the main walls forming a bay in a room, either square or polygonal. The projected windows can be at an angle of 90 degrees or 135 degrees with each other. Two ( or more) windows are combined with the help of a bay pole. Gives enhanced feeling of openness from inside the room. Improves the overall aesthetics of house.